The Dominican Republic is a great place to escape from European winter. Here are some tips for the Dominican Republic that will help you to organize your trip better. The Dominican Republic is a known for its sandy beaches. All the 5 starts hotels have their own territory which is protected, and if you will need to move around you will need to call a taxi. There might be a pit fall; if you check your flight with Skyscanner and find no direct flights may not mean that this information is correct. There might be some charters that are available only from touristic companies, so it worth asking. It is good idea to manage transfer with your hotel. If they don’t have an airport pick-up service or it is expensive, choose this transfer company. I’ve used them four times during my stay for transfers between Punta Cana airport and between Punta Cana and Santo Domingo; they provide an excellent service at good price. Everything can be managed and paid for by PayPal. You can then print confirmation or simply take a snapshot of your iPad screen and show it to a representative of the company. 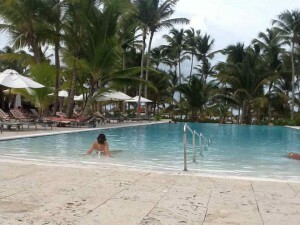 The best place to enjoy beach and excellent service is Punta Cana. You have more chances to find direct flight here and the infrastructure is more prepared. 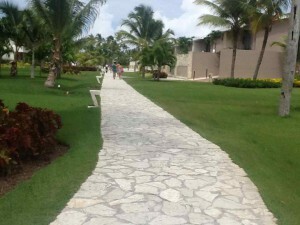 My favorite for price/quality was Catalonia Royal Bavaro – All Inclusive, it is a 5 start option. You can expect excellent service and a free upgrade to better room if they are available, with Wi-Fi in your room. It also has delicious food. 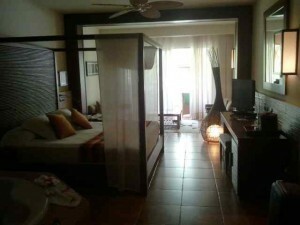 Attention with “Punta Cana Princess All Suites Resort and Spa – All Inclusive”. When I visited them they provided a lot of false information on booking, and it was not 5 start experience. We had to cancel our stay, which was very painful. They were in the process of reconstruction, but if you choose them, try to visit the room before you pay to make sure you have what you booked.